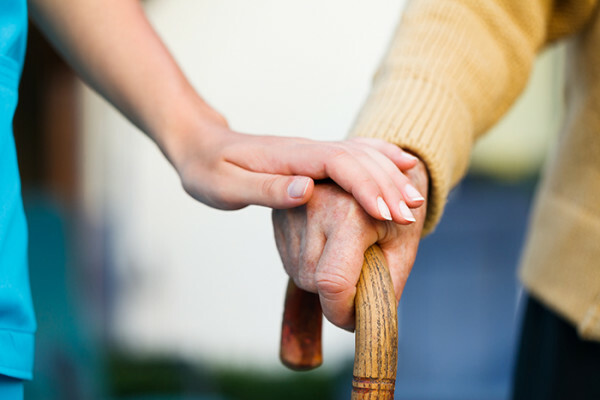 One difference between Alzheimer's and Dementia is that treatment options vary significantly. While Alzheimer's disease is only one of many different causes of dementia, it is the most common cause. The “yes” refers to the fact that one (AD) is a disease and one (dementia) is a condition caused by a disease. The “no” would be that, by definition, anyone who has Alzheimer’s disease will ultimately develop symptoms of dementia. The word “dementia” refers to the cognitive changes that certain diseases can create in an affected individual. While Alzheimer’s disease is only one of many different causes of dementia, it is the most common cause, accounting for 60 to 80 percent of all cases of dementia. Statistics show that 11 percent of U.S. adults age 65 and older that’s—roughly 5.3 million people—suffer from Alzheimer’s disease. People with AD typically experience progressive losses in memory and other thinking skills in addition to changes in behavior. (See also “Dementia Stages: What to Expect.“) One of the most notable symptoms of AD is the inability to recall newly learned or experienced information, commonly referred to as short-term memory loss. Although research has uncovered many factors contributing to AD, including genetic factors (such as the APOE-e4 gene), the exact cause of AD is still unknown. Some individuals—such as those with an inherited form of early onset Alzheimer’s (AD occurring before the age of 65), have genetic defects that cause an abnormal build-up of these proteins. There is currently no cure for AD, although research is actively underway to better understand the disease. Meanwhile, medications such as cholinesterase inhibitors (e.g. Aricept) and memantine (e.g.Namenda) have been shown to help temporarily reduce and stabilize the symptoms of memory loss and confusion in some people suffering from AD. There are multiple causes of dementia, some of which are reversible with treatment and others of which are irreversibly progressive. Unfortunately, the two most common forms of dementia after AD—vascular dementia and Lewy body dementia—are also irreversible. Vascular dementia (VaD) is the second-most-common form of dementia and can be caused by any disease that affects blood vessels in the brain, including stroke, inflammation of blood vessels (vasculitis), or damage to the smaller blood vessels such as that seen in diabetes. Treatment of the underlying vascular disease, such as high blood pressure, diabetes, or atherosclerosis (plaque build-up in the arteries), can’t reverse the injury to the brain but can help prevent further damage to blood vessels and the brain tissue they feed. 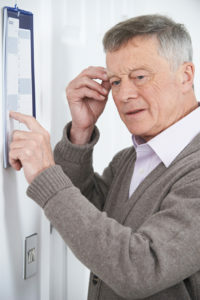 Dementia with Lewy bodies (DLB) accounts for roughly 10 percent of all dementias. It’s characterized by the accumulation of abnormal protein deposits (called Lewy bodies) in the brain. There is considerable overlap of symptoms between AD and DLB. Some of the prominent DLB symptoms that help distinguish it from AD are more frequent visual hallucinations, movement disorders such as tremor and muscle rigidity, loss of autonomic regulation (for example, loss of the body’s ability to control functions such as blood pressure and sweating), and sleep behavior disorders in which people act out their dreams. Frontotemporal dementia (or frontal lobe dementia), which refers to a group of dementias affecting the frontal and temporal lobes of the brain. Degeneration of brain cells in those regions results in varying degrees of behavior, language, and motor problems. Huntington’s disease, an inherited disease in which degenerative changes in the brain result in psychiatric, motor, and cognitive disorders. Parkinson’s disease, yet another degenerative neurologic disease that can lead to dementia in some people. The majority of Parkinson’s symptoms (muscle rigidity, tremor) are due to the destruction of brain cells that produce the neurotransmitter dopamine. Creutzfeldt-Jakob Disease, a rare neurodegenerative disease, is caused by misshapen proteins in the brain (prions) that interfere with normal brain function leading to rapid cognitive and motor deterioration. Psychiatric disorders are common and often precede dementia symptoms. Vitamin deficiencies: Deficiencies of vitamins B1, B3, B6, and B12 can all cause dementia symptoms. Metabolic disorders: Metabolic disorders that lead to abnormal levels of hormones, electrolytes, or other molecules in the blood can cause symptoms of dementia. Examples include hypothyroidism (resulting in low levels of thyroid hormones), hypoglycemia (low blood sugar), and hyperparathyroidism (resulting in high blood calcium levels). Infections: Infection of brain tissue (encephalitis) or the meningeal tissue surrounding the brain (meningitis) can cause dementia. Some of the more well-known infectious culprits include the human immunodeficiency virus (HIV), syphilis, Herpes virus, and Lyme disease. Medications: Steroids, seizure medications, Parkinson’s disease drugs, and antihistamines are among the many drugs that can cause symptoms of dementia, most notably in the elderly. Normal-pressure hydrocephalus: Dementia symptoms can occur when excessive amounts of cerebrospinal fluid accumulate in and around the brain. This can occur because of conditions such as brain hemorrhage or meningitis, but it can also occur for no apparent reason. Surgical drainage of the fluid often improves or reverses symptoms. While they are linked, it is important to under the difference between Alzheimer’s and dementia. Treatment options vary significantly, depending on the underlying cause of dementia. If someone you know is experiencing symptoms of dementia, it’s important that he or she gets immediate medical attention so that the cause of dementia can be identified and so treatment, if available, can be initiated. alzheimer, amyloid protein, aricept, atherosclerosis, b12, beta amyloid, blood pressure, blood sugar, brain, calcium, causes of dementia, cholinesterase inhibitors, creutzfeldt jakob disease, dementia, dementia hereditary, dementia stages, dementia statistics, dementia symptoms, dementia test, dementia treatment, diabetes, diabetes treatment, dopamine, early onset alzheimer s, early signs of dementia, forms of dementia, frontal lobe dementia, frontotemporal dementia, high blood pressure, how to improve memory, how to improve memory power, huntington s disease, hypothyroidism, improve memory, improve memory power, infection, inflammation, is dementia hereditary, lewy body dementia, low blood sugar, lyme disease, memory, memory loss, memory power, muscle, namenda, neurodegenerative disease, neurotransmitter, normal pressure hydrocephalus, parkinson s disease, protein, seizure, short term memory, short term memory loss, signs of dementia, sleep, stroke, sugar, symptoms of dementia, symptoms of memory loss, thyroid, to improve memory, vascular dementia, vascular disease, virus, vitamin, vitamins.